Nicole is an internationally recognized author and lecturer. Her ten books include So You Want to be a Dog Trainer and Help for Your Fearful Dog (www.nicolewilde.com). She is also a Certified Pet Dog Trainer who specializes in behavior issues, and presents seminars both domestically and internationally for conferences, training clubs, shelters, and other groups. Nicole is the recipient of the Association of Pet Dog Trainers’ prestigious Ian Dunbar Member of the Year Award for 2006, and a popular speaker at the organization’s conferences. She is on the advisory board for the Companion Animal Sciences Institute, the educational branch for the International Institute for Applied Companion Animal Behavior. Nicole writes training and behavior articles for various print and online publications, including an ongoing training column for Modern Dog Magazine. In addition to blogging for the Positively site, she blogs for the Huffington Post as well as her own site, Wilde About Dogs. 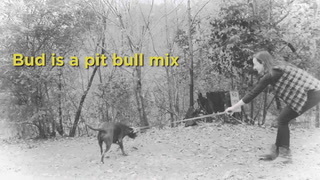 Nicole co-stars in the DVD “Train Your Dog: The Positive Gentle Method,” and co-hosted the “Dog Talk” radio show, where her experience, humor and quick wit were put to good use. Nicole has always had a special place in her heart for dogs in need. She has served as Volunteer Coordinator for the City of Los Angeles’ Animal Services, where she instructed volunteers in canine handling and behavior, handled hundreds of dogs, and served as adoption counselor. 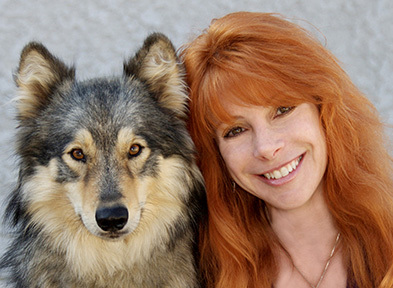 She was also Executive Director for Villalobos Rescue Center, a sanctuary for rescued wolves/wolf hybrids, pit bulls and exotic animals, where she socialized and trained wolves and other canines, and presented seminars for animal control officers, schools and specialty groups. Nicole is originally from New York, and moved to Los Angeles in 1987. She has been a professional gymnast, driven motorcycles, played bass guitar in various rock bands, and lived with wolves for over ten years. She owns and operates Gentle Guidance Dog Training in southern California. With warmth, humor and positive techniques, she trains owner to train their dogs. 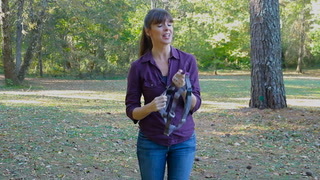 Nicole continues to teach seminars and to educate the public on canine behavior issues. She also donates her time photographing shelter and rescue dogs to increase their chances of adoption. You can purchase Nicole's books and DVDs at www.nicolewilde.com and you can follow Nicole on Twitter at http://twitter.com/NicoleWilde and read her blog Wilde About Dogs at www.wildewmn.com. Read Nicole's blog posts here.